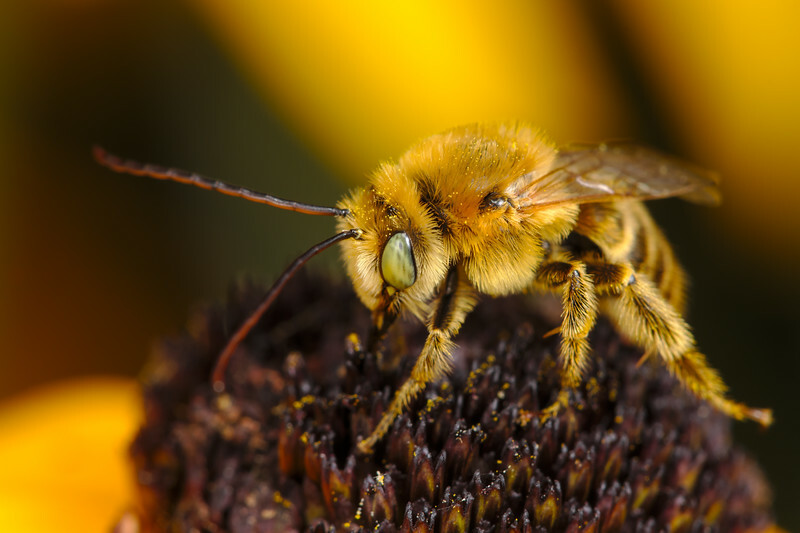 A long-horned bee, covered in pollen and short yellow hairs, buries its head in an equally-yellow flower to gather nectar. 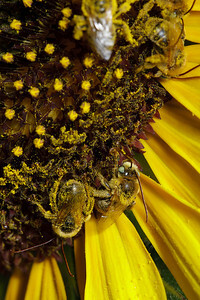 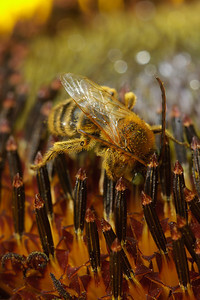 A long-horned bee taking nectar from a sunflower. 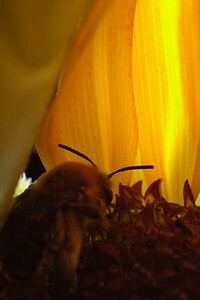 A female long-horned bee (unknown genus) searches for food inside a half-closed sunflower. 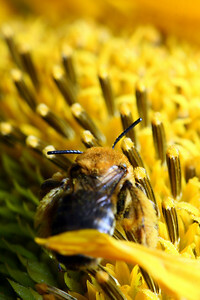 A long-horned bee (Melissodes) drinks nectar from a black-eyed Susan.